Lovers of Garmin goodies, rejoice! 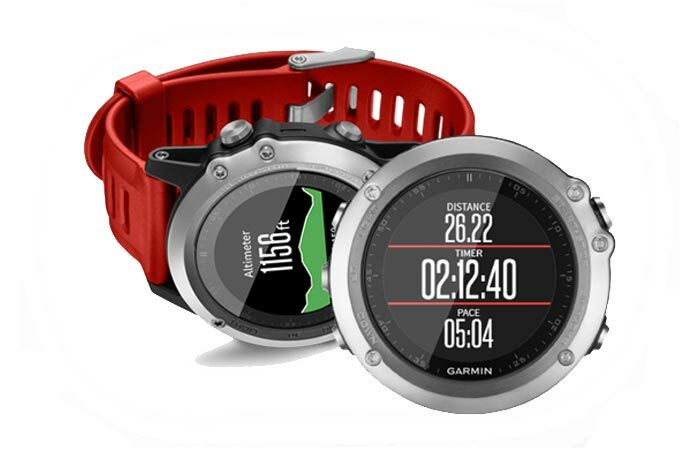 To kick off the year in the best of ways, the famous manufacturer of navigation equipment has rolled out another amazing multisport watch, the much-expected Garmin Fenix 3. Following the success of its predecessor, the new activity-focused GPS-enabled wristpiece preserves much of the features of its older brother but unlike the previous versions of the popular Fenix watches, the latest Garmin piece also boasts a more refined style and a couple of new and improved features to round off the outstanding performance spiel. Let’s take a closer look at it, shall we? 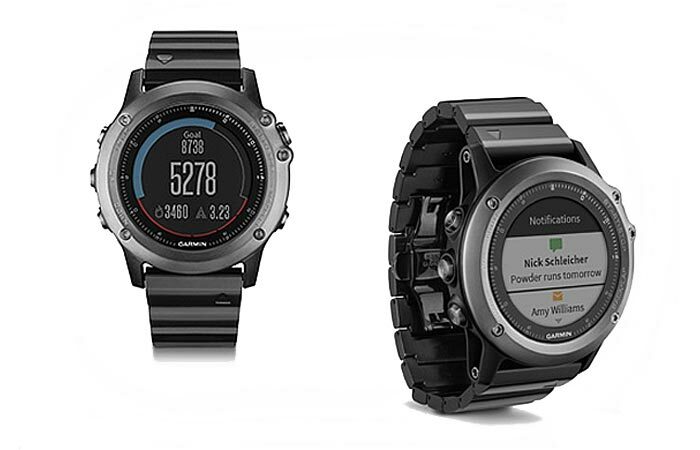 Built to serve and last, Fenix 3 replaces the monochrome LCD of its predecessor with a daylight-readable high-resolution 1.2-inch Chroma™ color display with backlighting and color tones, contrast and brightness levels perfectly balanced to provide optimum legibility for avid athletes and sportsmen. On top of the highly functional display, the new Garmin wristpiece includes the brand’s Connect IQ™ platform, an open-source medium which allows third-party developers like AccuWeather and Tempo to create and upload customized applications, widgets, data fields and watch faces tailored specifically to Garmin products. Like its older brother Fenix 2, the new Garmin multisport wristwatch boasts Bluetooth support for some basic notifications from your Android™ phone or iPhone® 4s such as incoming emails, phone and calls texts, and it also packs a lengthy list of fitness monitoring features like VO2 Max, Virtual Pacer™, Race Predictor, Accelerometer, Recovery Advisor and LiveTrack option for collaborative workouts. On top of the stainless steel EXO™ antenna with GPS and GLONASS support, Fenix 3 is equipped with an onboard barometer, altimeter and 3-axis compass capabilities, as well as a handful of pre-configured activity tracking modes to monitor running, walking, biking and swimming just like its forerunner. But that’s not all: to expand the user’s sporting horizons, the new watch also comes with skiing and snowboarding activity monitors, as well as full outdoor navigation capabilities like TracBack, Sight’n Go and GPS breadcrumb trail that allow the wearer to return to a pre-set location without risking to end up lost in the middle of nowhere. 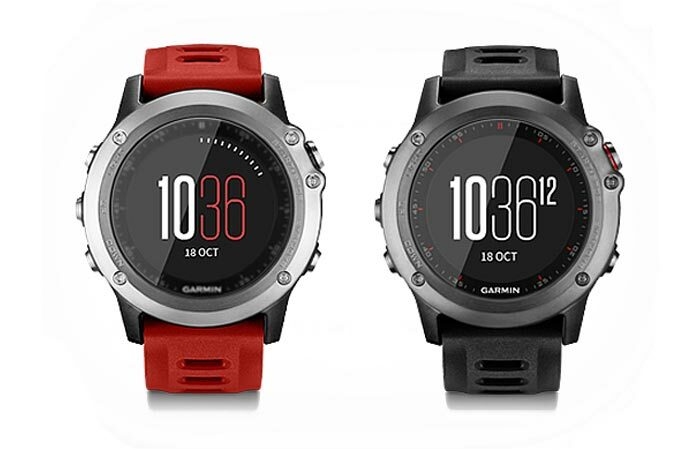 And if you want to get even more out of your new Garmin smart multisport GPS watch, you can also pair it with a host of sensors like the brand’s heart rate monitor strap (sold separately for $50) that will crunch all the vital fitness statistics with added accuracy, detail and versatility. On top of its professional multisport tracking features, Fenix 3 is designed for recreational fitness fans and office busy-bees too, as it delivers vibrating buzzes on an hourly basis to remind you to get up and move around after a 60-minute interval of inactivity. Powered by a rechargeable 300 mAh lithium-ion battery, Fenix 3 is capable of delivering around 20 hours in the GPS tracking mode, some 50 hours in UltraTrac mode and up to incredible six weeks in the basic watch mode, which is truly impressive for a device of its exceptional versatility. 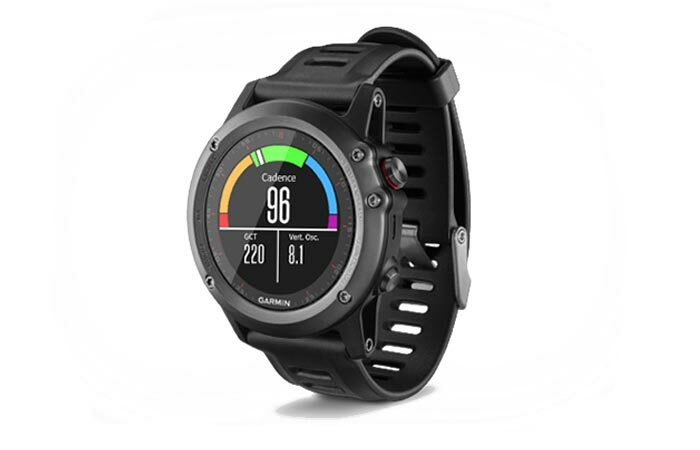 Water rated to 100 meters, Garmin Fenix 3 comes with 32 MB built-in memory (23 MB available), allowing you to design, save and follow courses, mark as many as 1,000 locations and store up to 10,000 track points with as many as 100 saved tracks. And if all this techie goodness is not enough for you, Fenix 3 also lets you store your recorded fitness data and post on via a Garmin application, as well as plan trips and share adventures and your location data with those you care about most via BaseCamp™.